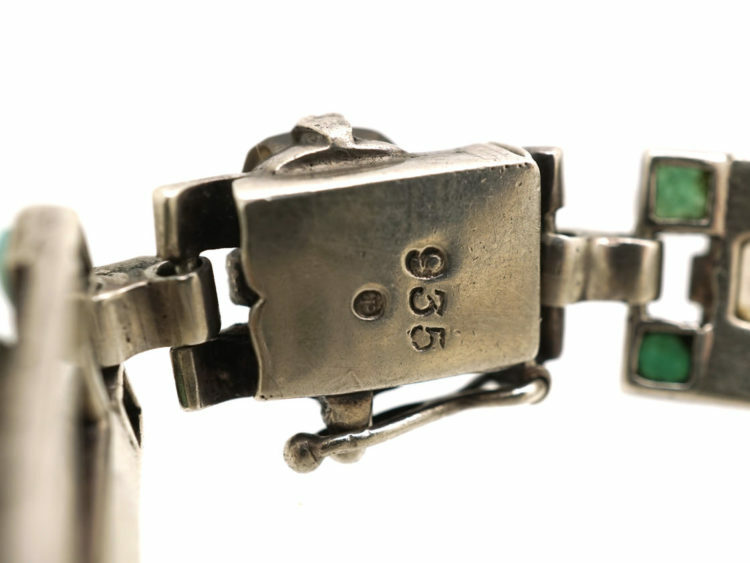 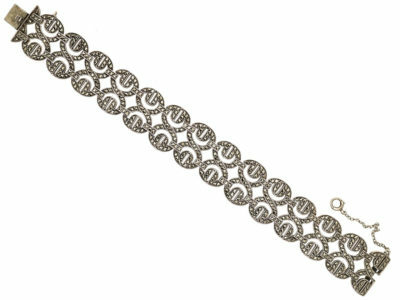 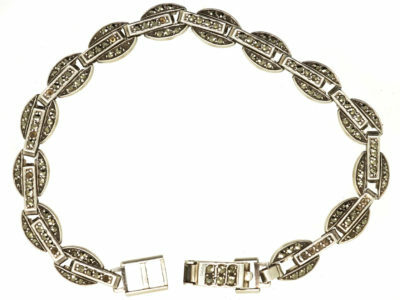 A great looking silver bracelet designed and made by the famous firm of “Theodor Fahrner” which was founded in Pforzeim in the Black Forrest in Germany in the early 1900s. 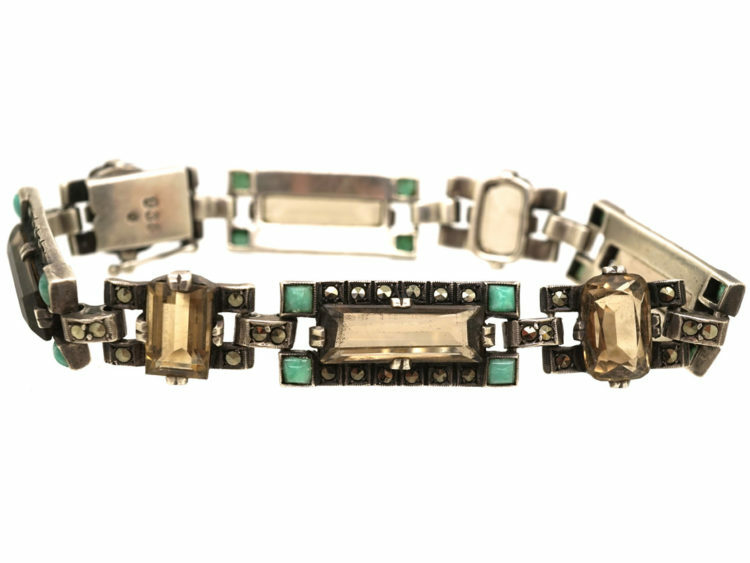 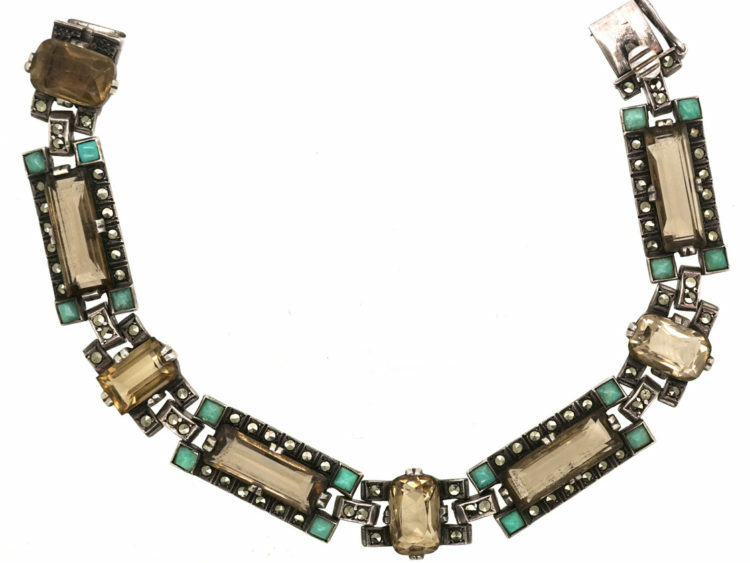 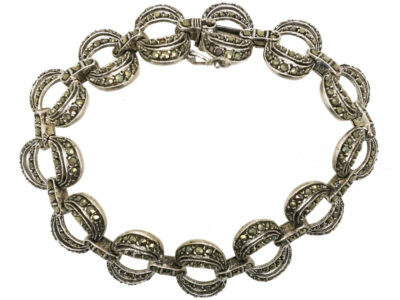 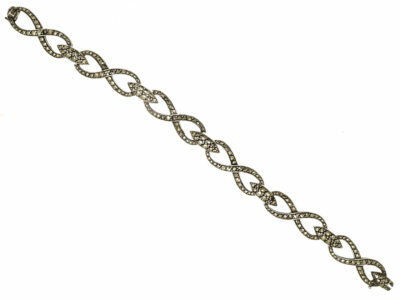 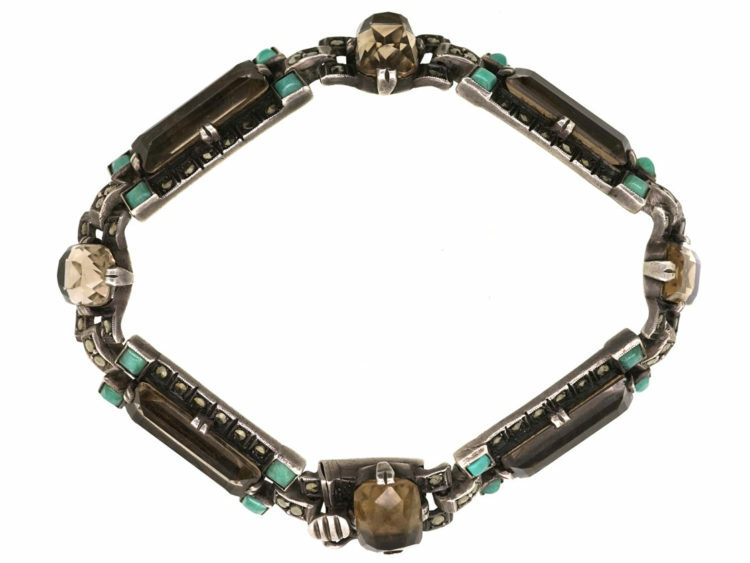 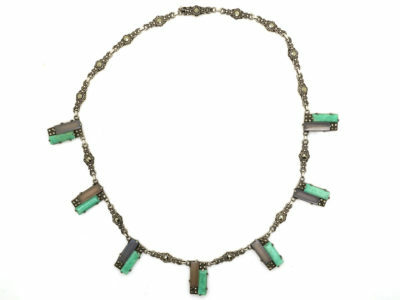 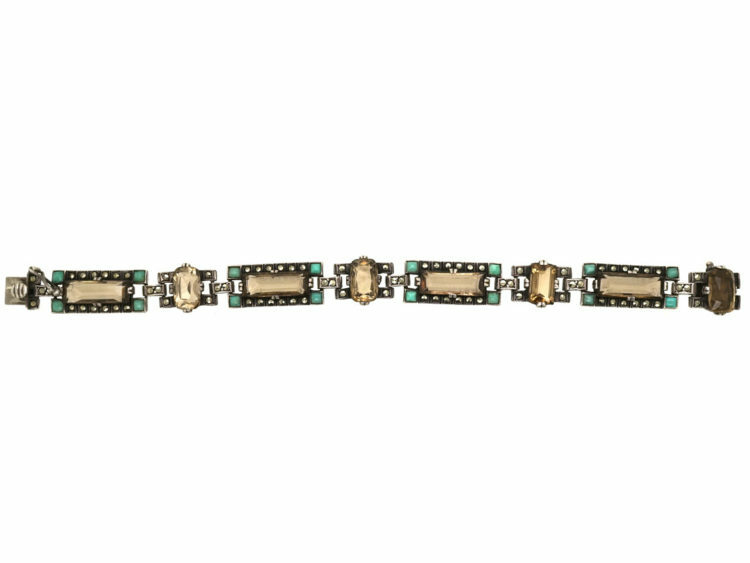 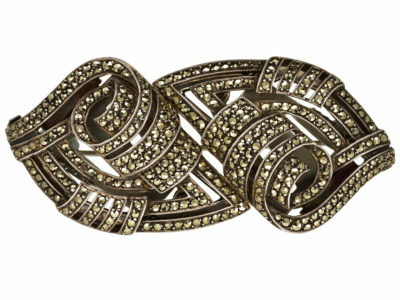 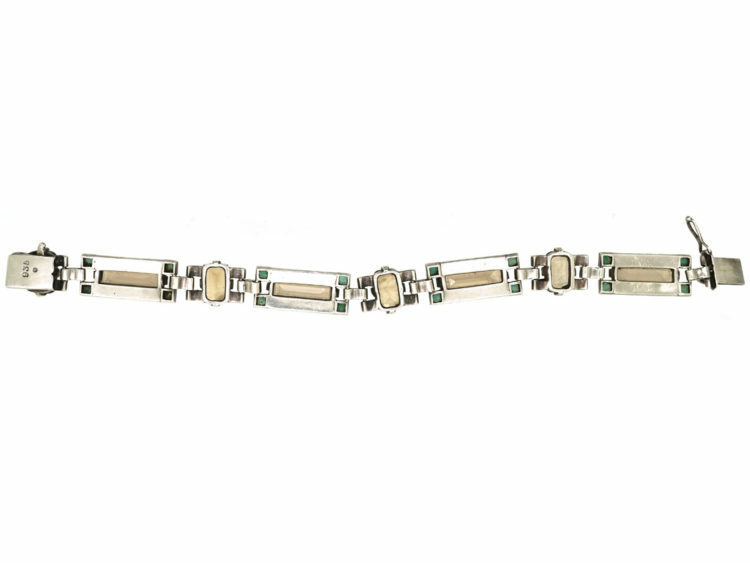 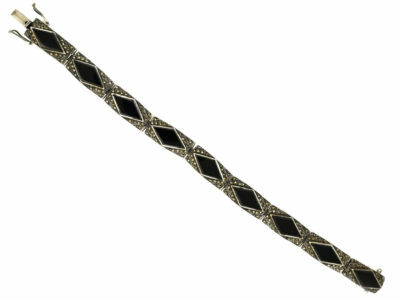 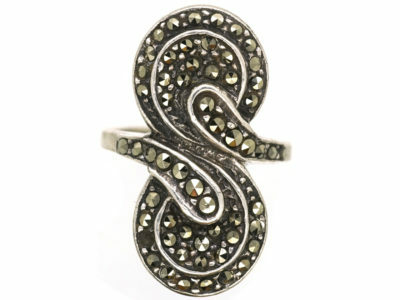 This bracelet dates from the Art Deco period 1920-1935 and is set with contrasting smokey quartz and amazonite with graded marcasite in between. 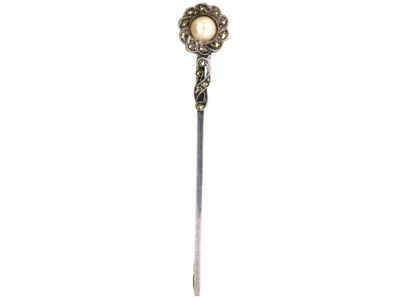 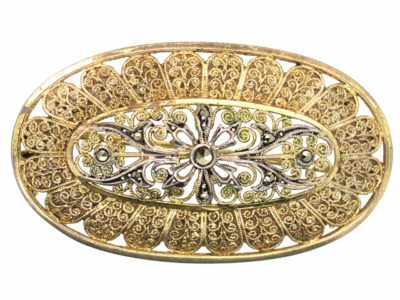 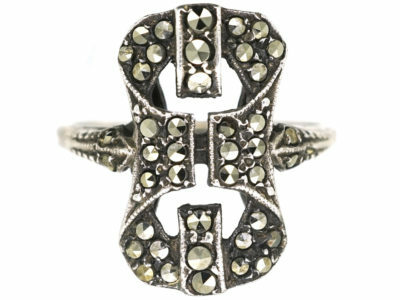 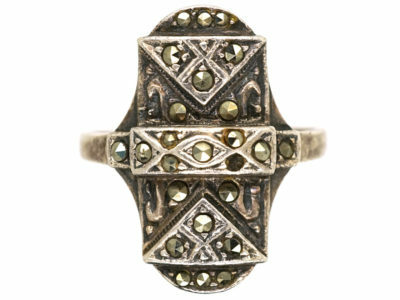 It is a brave angular design typical of the period and quite a rare piece.